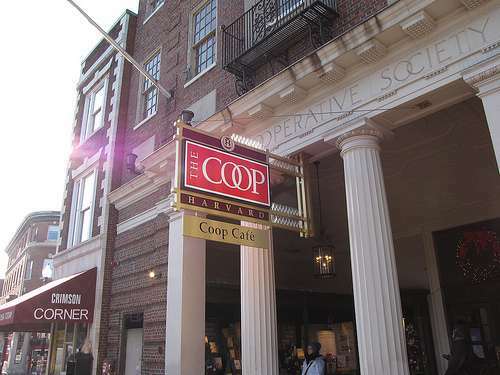 The Coop bookstore offers Harvard students a number of ways to purchase their required textbooks. Students can buy new, fresh “out of the factory” textbooks if they truly desire. However, the Harvard bookstore also sells used textbooks. Students and other interested parties can use their online textbooks finder servlet to find out if the Harvard bookstore has the exact textbook they need. The price for the used textbook can be as much as 25 percent off the new price. The bookstore also lets students return a used textbook in case they decide to drop the class. Dropping a class is bound to happen at least once to just about every student during their academic pursuits, so the bookstore offering a certain “grace period” is is certainly appreciated by the Harvard campus and community. The Coop’s main website offers a few unique textbook sections that cater to some of their school’s popular academic departments. Students can save up to 50 percent off the cost of a new textbook if they decide to rent instead. Harvard is of course known as a “smart” campus, and rightly so. Facing rising textbook costs with no immediate signs of upcoming drastic price drops, renting textbooks rather than purchasing them outright is becoming a “smart” decision for many Harvard students. The online servlet will let students see whether the textbook they want is available to be rented. The textbook rental period runs from the day the textbook is bought through the last day after finals. Students can rent either a new or used textbook, and then they just just mail it back when they’re done with it. If students decide they would like to keep the textbook that they are currently renting from the Harvard bookstore, they can arrange to buy their book at a discounted rate instead of returning it. The Harvard Coop bookstore also offers thousands of eTextbooks for immediate download. Interested students can either buy or rent an eTextbook. If they buy it, the download is theirs to keep. If they rent it, the user license will expire with their rental term and they will no longer be able to access the textbook. To download an eTextbook from the Harvard bookstore, students should first check the website to verify that the book they want is available in digital format. From there, students can decide whether they want to ultimately buy or rent the digital textbook. Then students can simply download the digital textbook into popular e-reader software like VitalSource’s Bookshelf or Barnes and Noble’s NOOKstudy (read about the Nook e-reader). The price for an eTextbook through the Harvard bookstore can be as little as 60 percent of its hard copy version. The downloaded textbooks from the Harvard Coop bookstore will work on either a Mac or PC, and students can access the eTextbook from two different computers during their textbook rental terms. For information about the Harvard Coop, including reviews from Harvard students, potential information regarding the availability of etextbooks, and driving directions, visit the Harvard Coop’s Google Places page.